An announcement that European-style expressways are to be created in Britain has been hailed by a haulage industry group. 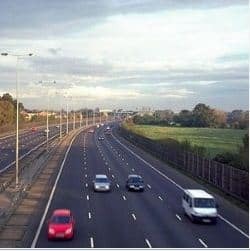 The Highways Agency recently confirmed that as part of its Road Investment Strategy, it will implement these infrastructure upgrades on A roads across the country. According to the Freight Transport Association (FTA), this should help to make major routes throughout the UK much safer and more reliable. Malcolm Bingham, head of road policy at the FTA, said the organisation fully backs the idea of developing and improving England’s strategic road network and regards the creation of expressways on A roads as “good news”. “We have seen significant improvement on the A1 between Peterborough and Doncaster by creating a free-flowing road around some previously notorious junctions,” he commented. The Highways Agency has stressed that innovation will be at the heart of everything it does in England over the next few years. A spokesman said it will “work closely” with stakeholders including the Department for Transport on technology and strategic growth than enable the roads to be used more effectively. He added that the proposed expressways will improve journeys for motorists, enhance safety and stimulate economic growth.